On November 8, the National Science Foundation (NSF) announced that it is accepting recommendations for members of a new STEM Education Advisory Panel. This panel will provide input to the interagency Committee on Science, Technology, Engineering, and Mathematics Education (CoSTEM), which is made up of agency leads for STEM education and coordinates STEM education programs across the federal government. In particular, the panel will advise on any changes or updates to the Federal STEM Education 5-Year Strategic Plan, which is slated to be updated in 2018 by CoSTEM and the White House Office of Science and Technology Policy. The previous 5-year plan was released in May 2013 under the Obama Administration. The formation of the new STEM Education Advisory Panel was congressionally-directed in the American Innovation and Competitiveness Act, which became law in January 2017. Congress established the panel to ensure stakeholder input in STEM policies following the controversy surrounding the Obama Administration’s proposed STEM consolidation in 2013. Nominations should be sent to Nafeesa Owens at stemedadvisory@nsf.gov, and are due by November 30, 2017. 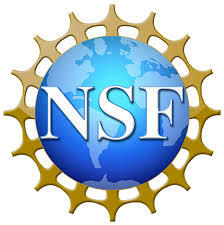 NSF will accept nominations annually for future openings on the panel. The NSF announcement requesting nominations is available at https://nsf.gov/ehr/STEMEdAdvisory.jsp. The most recent Federal STEM Education 5-Year Strategic Plan is available at https://www.whitehouse.gov/sites/whitehouse.gov/files/ostp/Federal_STEM_Strategic_Plan.pdf. The text of the American Innovation and Competitiveness Act is available at https://www.congress.gov/114/plaws/publ329/PLAW-114publ329.pdf. More information on CoSTEM, including its membership, charter, and previous reports, is available at https://www.whitehouse.gov/ostp/nstc. Nominations Opening Soon for 2018 ASPB Awards!